A 1d surcharge is used to fund children's health camps. 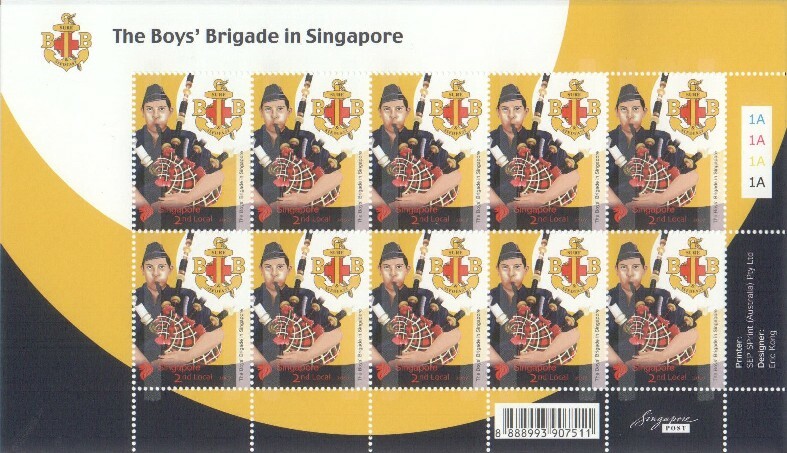 A 2d stamp featuring a Girls' Life Brigade Cadet was also issued. Centenary of the Boys' Brigade. Also issued was a set of similar stamps to commemorate the 75th Anniversary of the Scouts. A miniature sheet of each stamp was also produced. The Boys' Brigade sheet is shown.